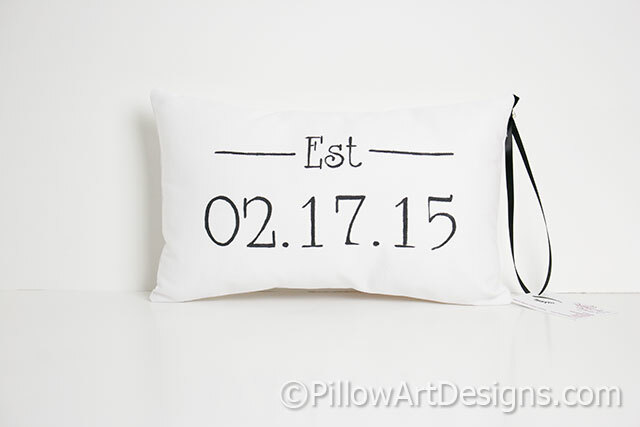 Established date pillow features date on front in numerical format under the word Est and single lines on each side. Measures approximately 8 inches X 12 inches. 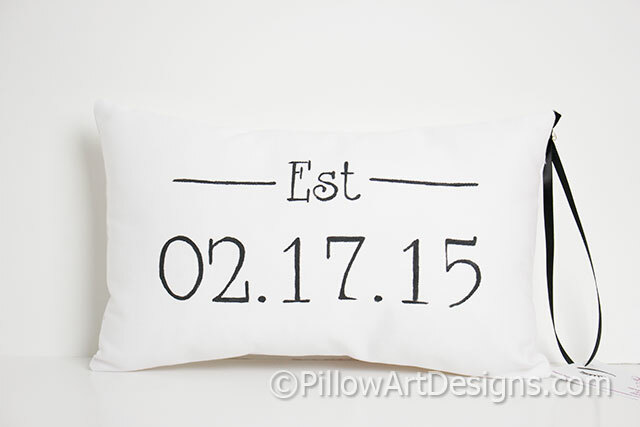 Comes stuffed with hi loft polyester fiberfill. Hand painted with non toxic fabric paint. Shown in black, other colours available, contact me here with your preference. 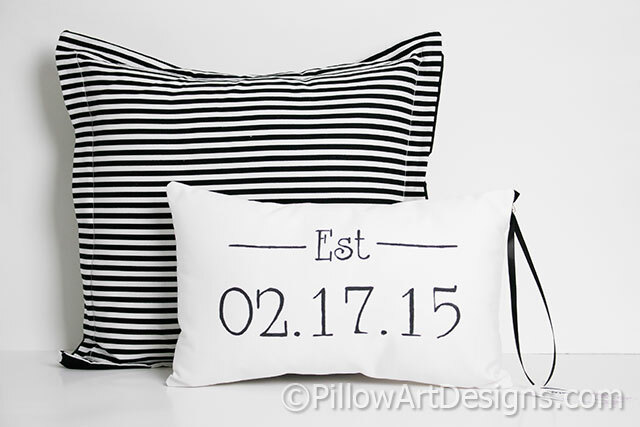 To order, purchase this listing and contact me here with the date for your mini pillow.